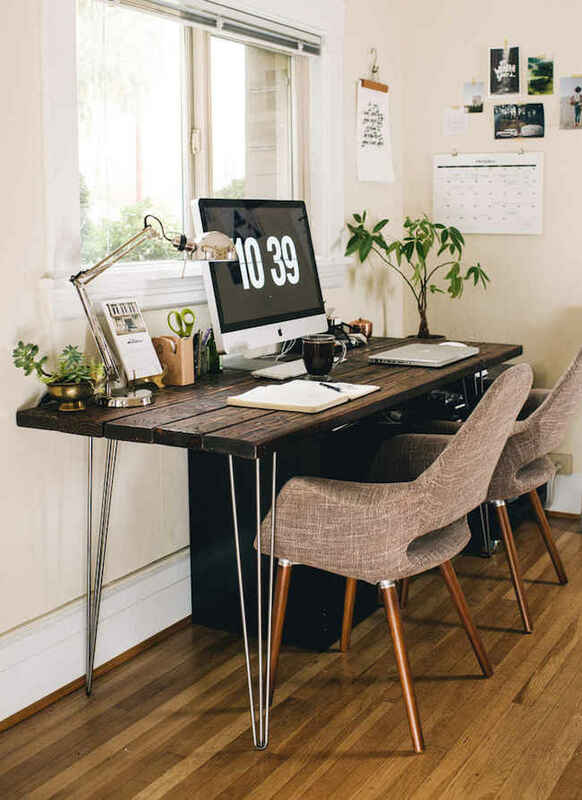 Count yourself lucky if you have a home office with a great view or even a convenient corner for a desk next to a window. 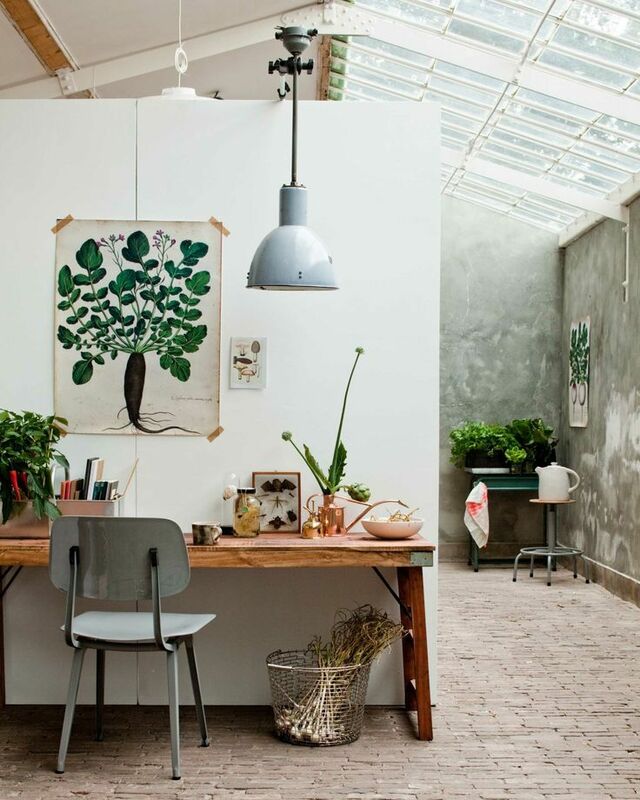 The natural light will already provide you with enough outdoor inspiration, but you can take it a step further by adding a plant or two here and there — like these examples from Mundadda and Design Sponge. 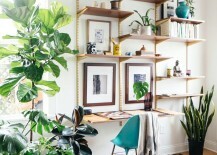 You can’t exactly grow the tall types of trees you see out in your yard or along your street, but you can create a similar effect with these funky-looking shelves — especially when you add a few potted plants to it. 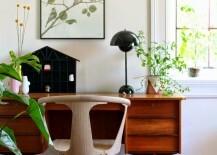 Ideas taken from Residence Style and Old Brand New show you how it’s done. 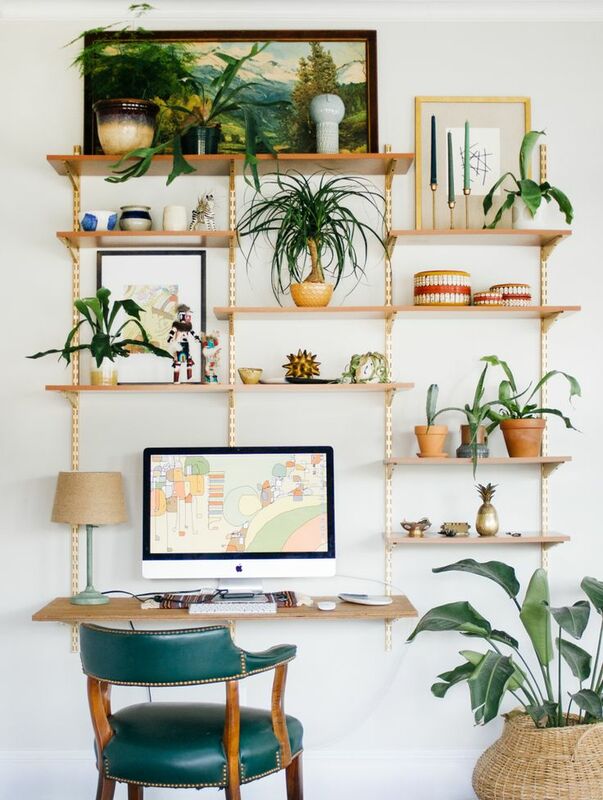 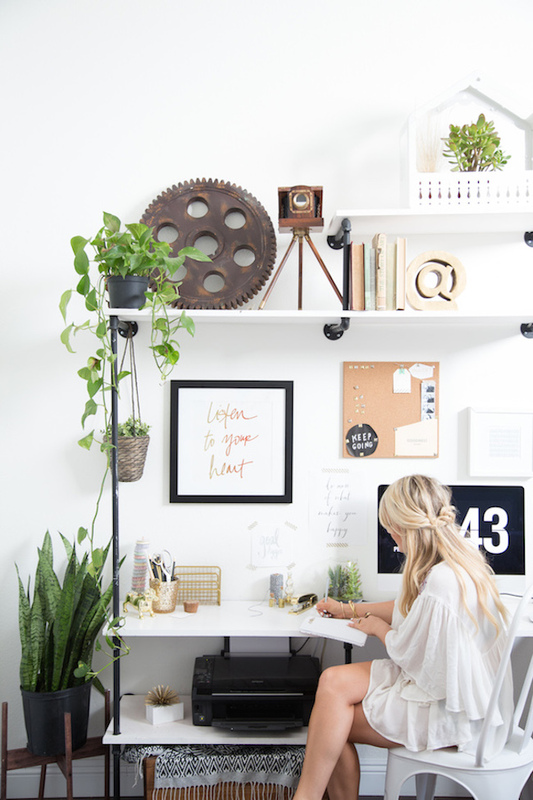 You could even use regular shelves installed above a desk by adding some plants to it, like this home office idea from The Glitter Guide. 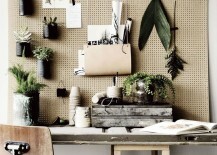 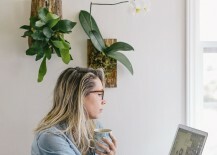 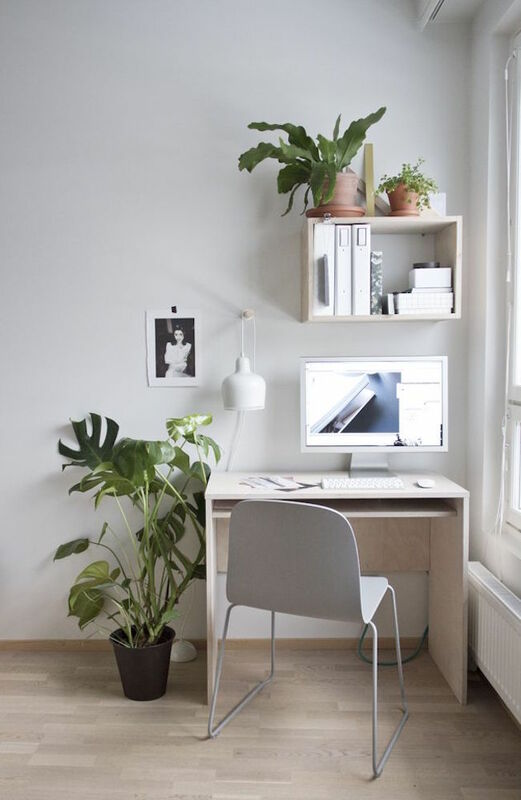 Even with a window and some plants around, you might still end up staring at a blank wall in your home office. 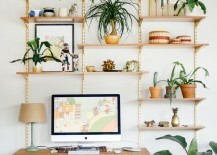 To solve that problem, go for beautiful wall art pieces that feature scenes of nature, trees, flowers, and wildlife. 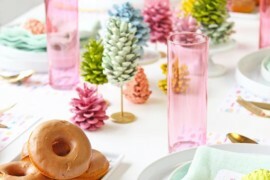 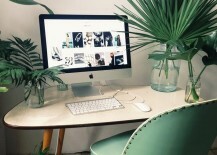 NightLife, Frenchy Fancy, and Decor8 Blog show some great examples. 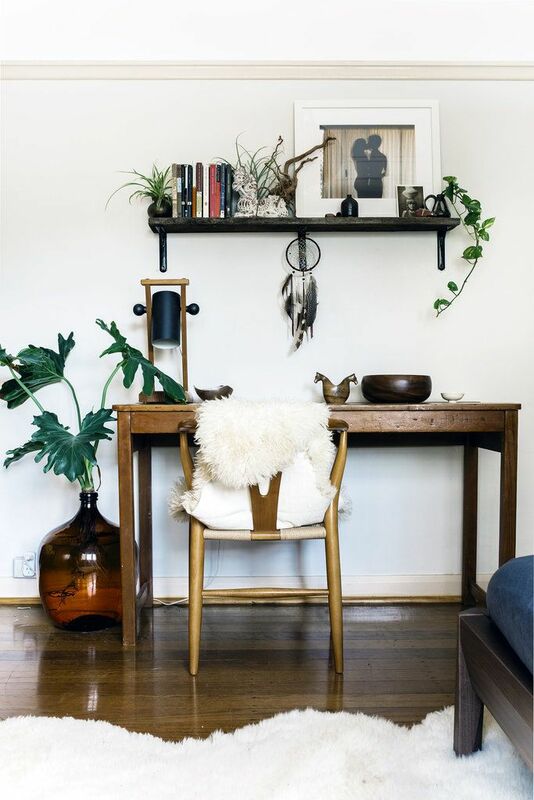 Want to get a little more funky with your nature-inspired wall art? 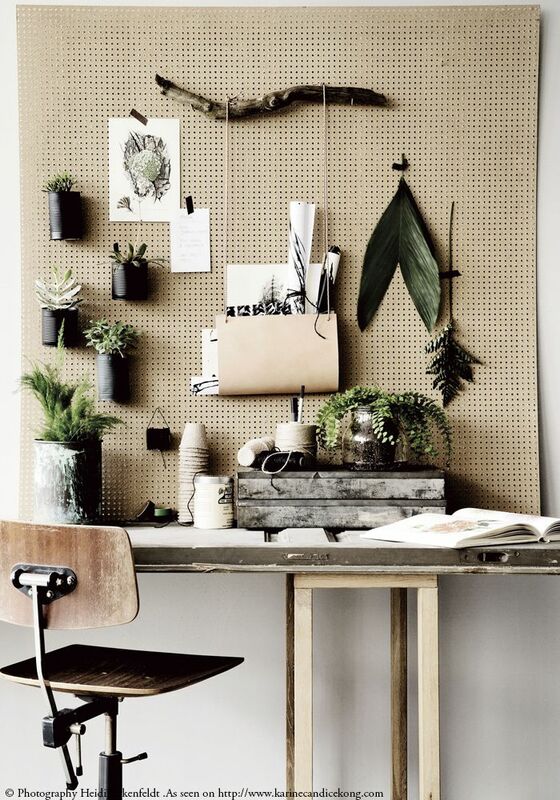 Take a look at these great tree trunk-like pieces from We Are Scout or this interesting vertical garden idea on a bulletin board from Karine Candice Kong. 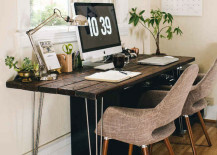 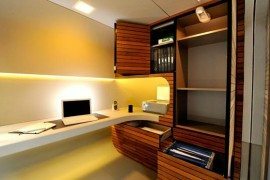 Another easy way to bring more of the outdoors into your work space is by choosing a desk made of real wood. 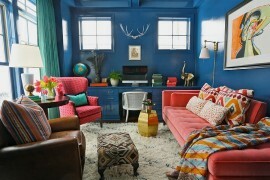 In fact, the more rustic it looks, the better! 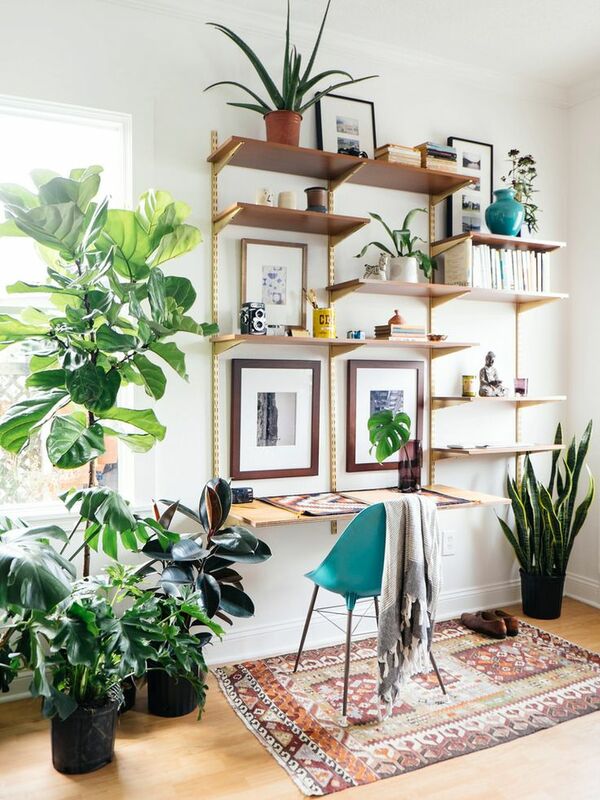 Add a potted plant or two, and you’re good to go. 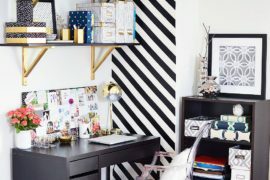 Here are three ideas from The Ultra Linux, My Domaine, and PopSugar. 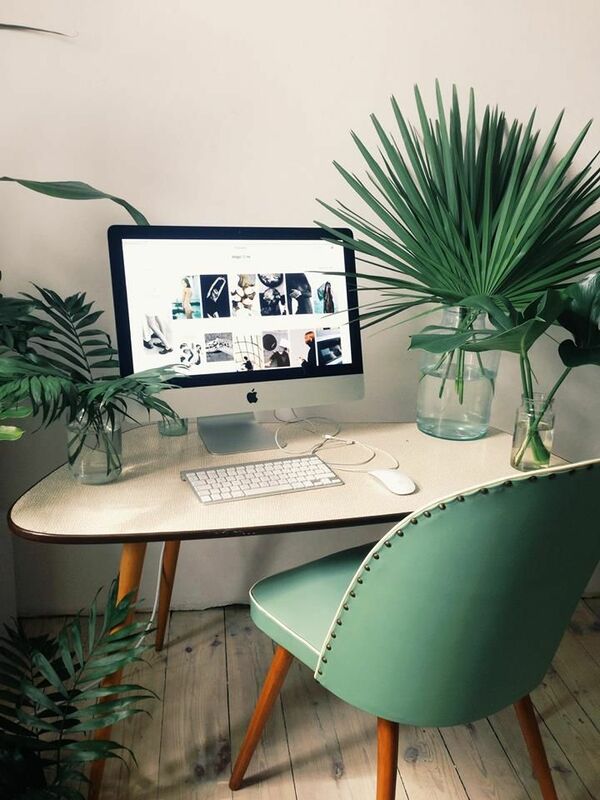 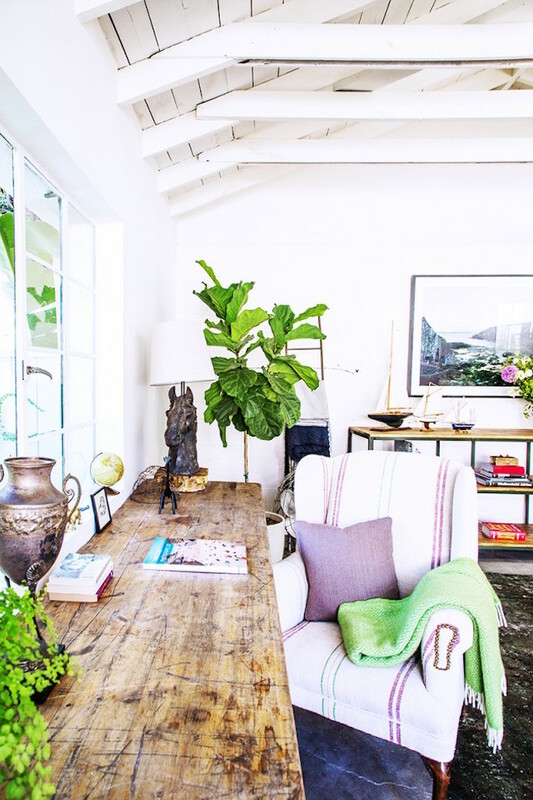 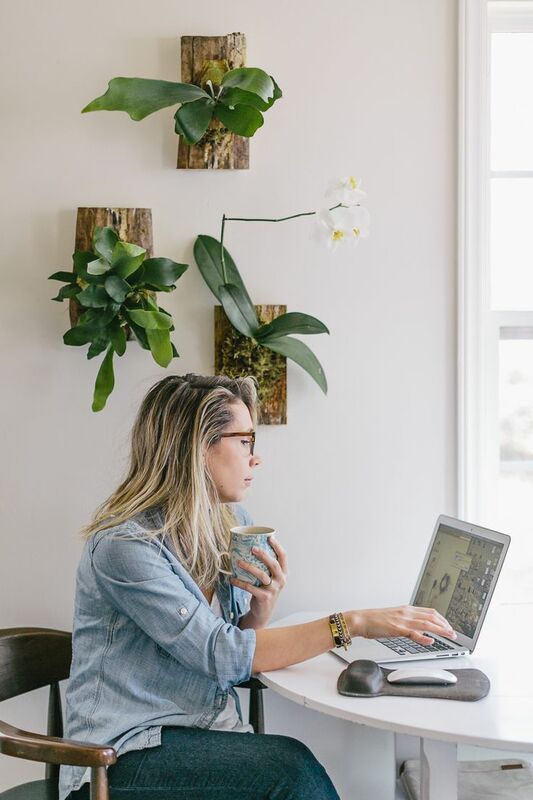 When in doubt, a few large desk plants can really make a big statement. 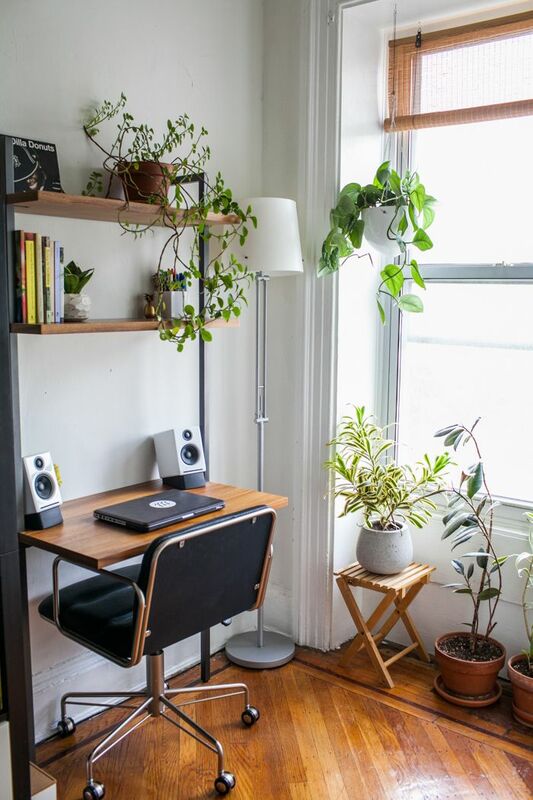 In fact, they might just be all that you really need. 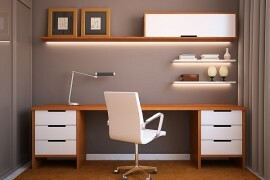 Here’s a good example from Facsilisimo that really keeps it simple. 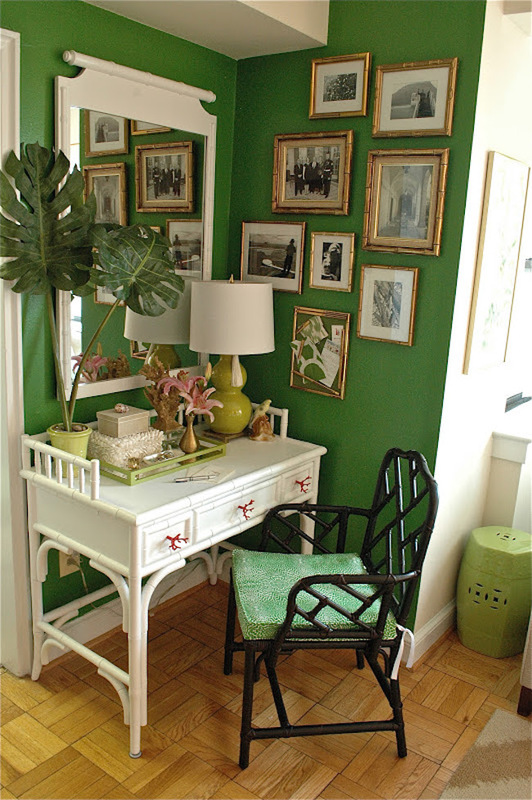 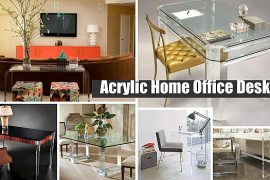 If your home office is due for some new paint, why not go for green? 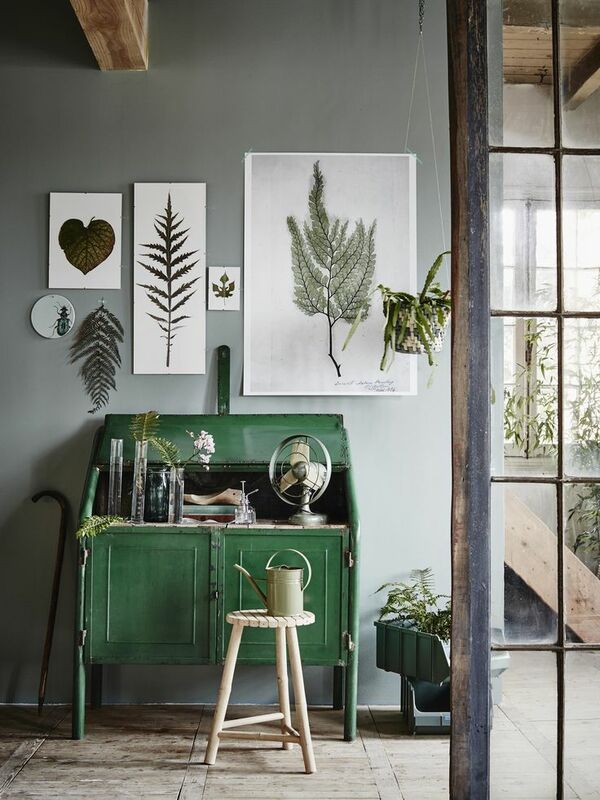 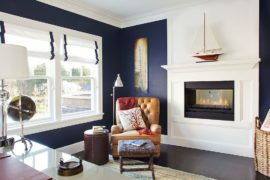 It’s a very calming color that will certainly emphasize that nature-inspired look. 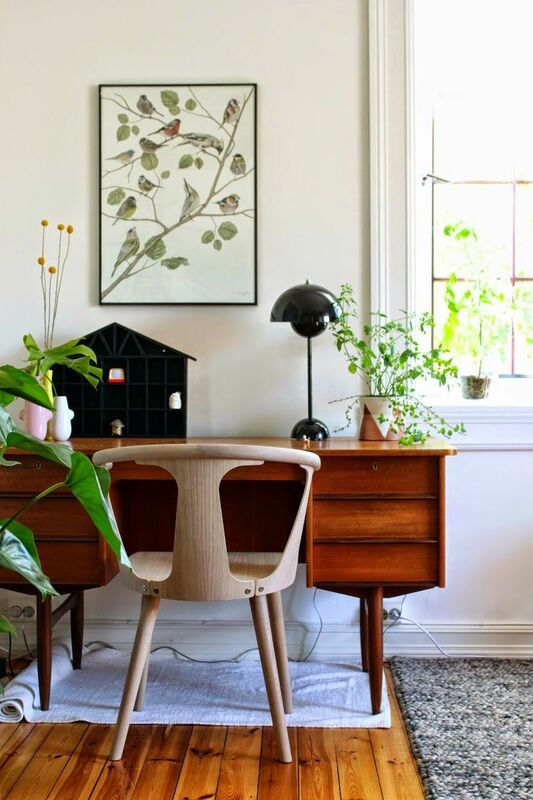 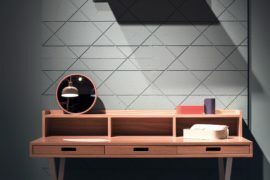 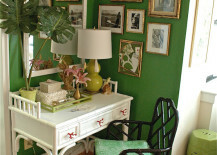 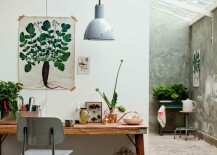 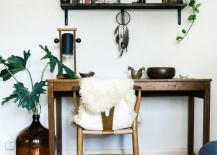 Here’s a beautiful shade featured in a small corner office space on Sanity Fair.